Christmas is right around the corner and each year I always like to make a few new decorations for my home. I’ve been scouring Pinterest for holiday decorating ideas and I love the look of wreaths made out of candy. 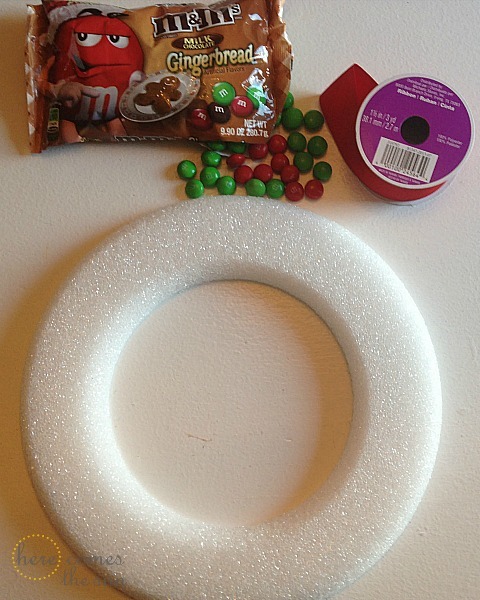 So when I saw the Gingerbread M&Ms in WalMart, I knew that I could use them for my newest holiday craft: a Gingerbread M&M Christmas Wreath. I get to do a fun craft and the kids enjoy the extra M&Ms as snacks. Everyone wins! These M&Ms are so tasty that some of them unfortunately never made it to the wreath. The gingerbread flavor can be found exclusively at WalMart. 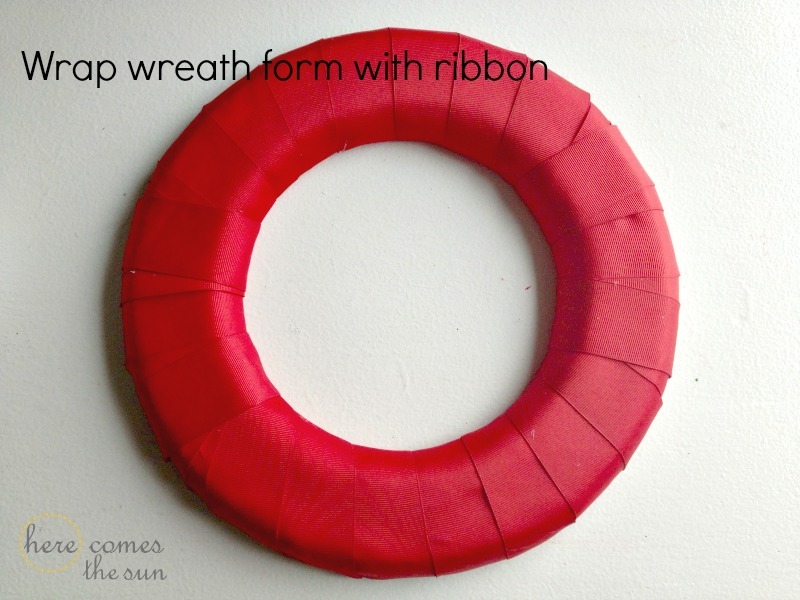 First, wrap your wreath form with ribbon. 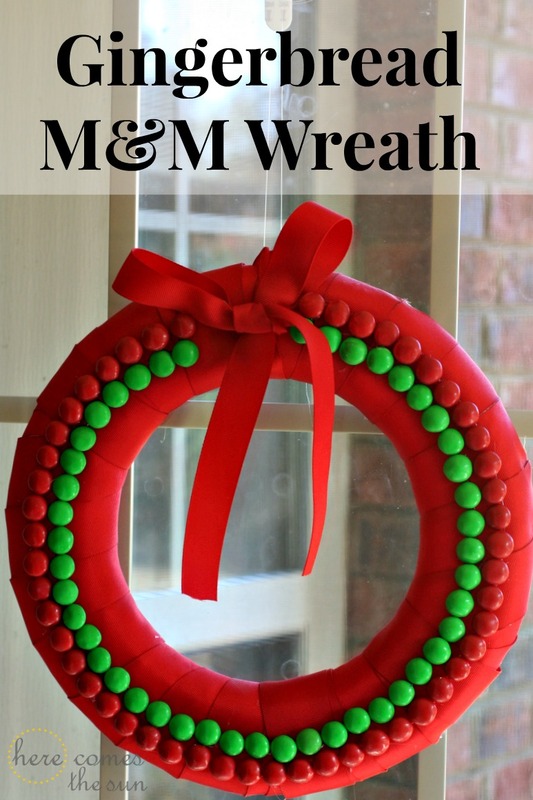 Next, lay out your M&Ms on the wreath in your desired design. Leave a space at the top for a bow. 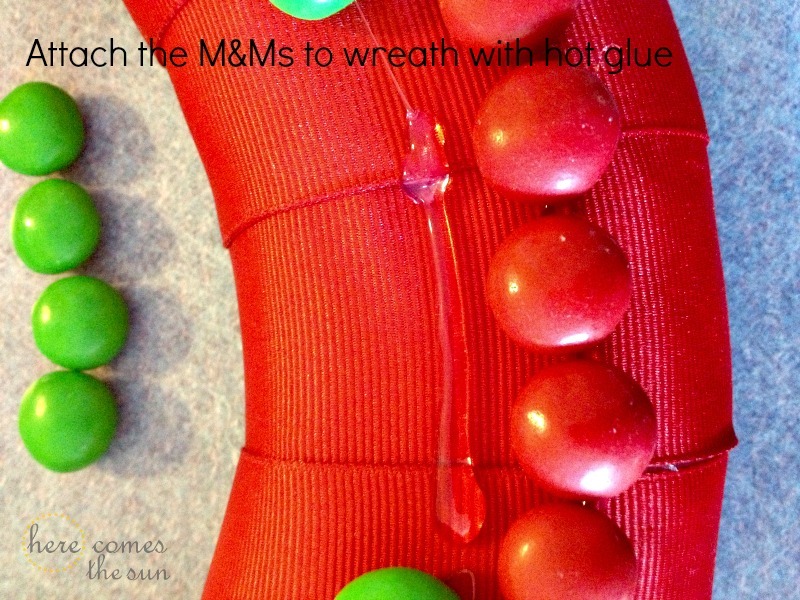 Hot glue the M&Ms to the wreath. I found that using a long string of glue and putting on about 4 M&Ms at once was easier that gluing them one at a time. Tie your bow on and you’re ready to hang it. Give your M&Ms a thin coat of clear nail polish to ensure that they remain intact. Do not use Mod Podge to seal your wreath. Mod Podge disentegrates the candy coating. I love my new addition to my decor. What do you think? 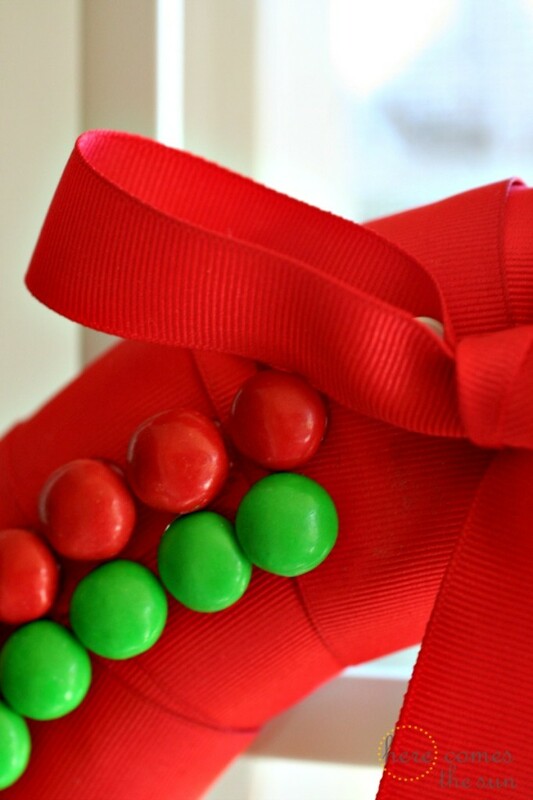 If you need some festive holiday decorating ideas, check out these fun Gingerbread M&M’s crafts. 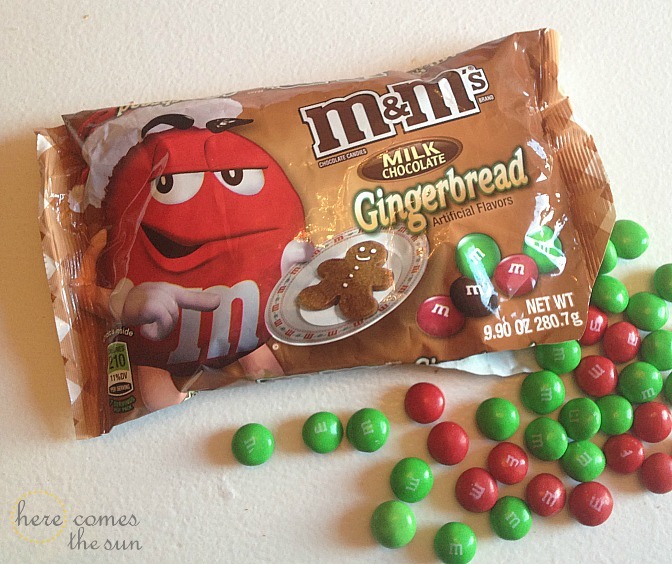 If you have some creative ideas of your own, participate in the Gingerbread M&M Instagram contest to win a great prize. And because I love my readers so much, here is a coupon just for you! To see another one of my Christmas Wreaths, check out myFelt Rosette Wreath. Clever and festive! And betcha it smells delicious! How did you manage to glue them all on there instead of eating them!? I bought an extra bag just for snacking! 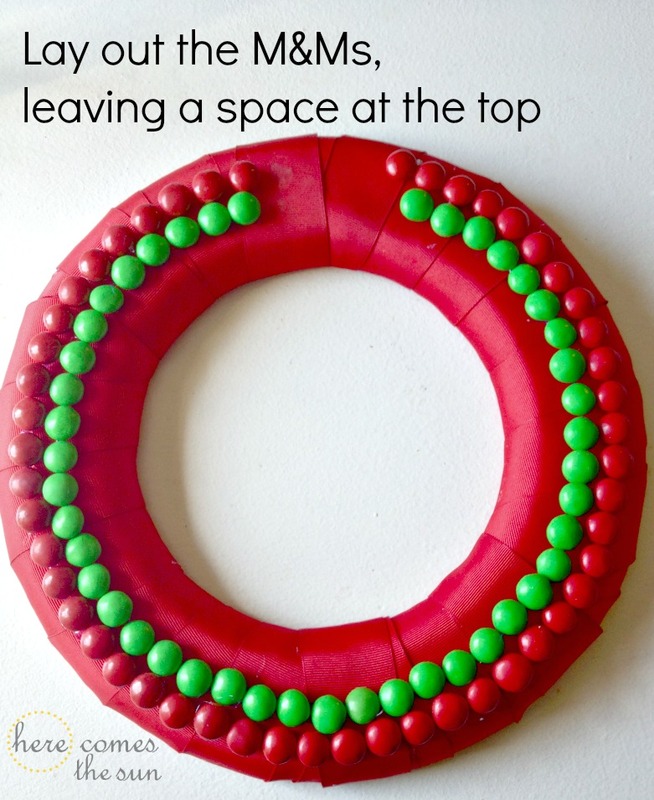 An edible wreath – great idea! How fun!! Luv my M & Ms!! !